The Tallit is Much More than a Prayer Shawl. Most of the Torah portion Tetzaveh is about two articles of the clothing that the high priest wore during the time of the Mishkan, the Tabernacle. They are of little use to us today or indeed over the last 2800 years, no matter how wondrous they were then. So why do we read about them in such tedious detail every year? 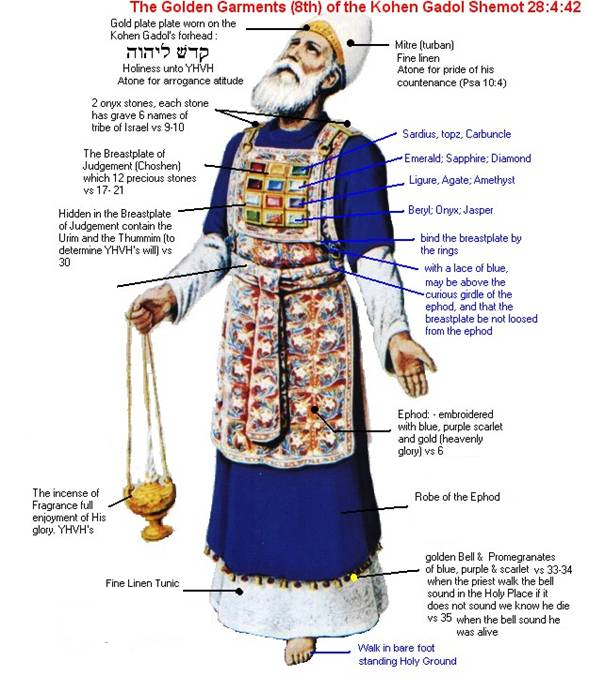 The Choshen /חֹשֶׁן /breastplate and the Ephod /אֵפוֹד /apron are attached together and support each other as they cover the high priest. What made them special was the 42-Letter Name and 72-Letter Name that was folded up inside them, thus enabling the High priest to receive Divine answers to all the Israelites’ questions. The Torah refers to the folded article with the Names on it as Umim and Tumim (את האורים ואת התמים) which is non-coincidentally reminiscent to the phrase Heaven and Earth (את השמים ואת הארץ) found in the Torah’s first verse which itself is derived from the 42-Letter Name. The Umim and Tumim were designed to be worn over the high priest’s heart which is where spiritually we should hold these names. While the word V’et (ואת) is a marker in the Torah whose square root of it’s numerical value is 20.17424, indicative of Moshiach Ben David (424) in the year 2017, the gematria of the first and final letters in Umim and Tumim (את האורים ואת התמים) is also 2017. As in the beginning, Heaven and Earth will be once again unified. The Torah is giving us clues how we can do our part. 2017 CE or 5778 HC is the year given by Rav Ashlag for the coming of Moshiach (the Messiah) and the final redemption (Geulah). The gematria of Choshen / חֹשֶׁן is the same as that of Mashiach (358) and the Ephod / אֵפוֹד contains the word pad (redemption) whose gematria, as Rav Brandwein pointed out, is twice 42, representing the unification of the upper and lower Shem Mem-Bet (42-Letter Name) necessary for the geulah, final redemption. Moreover, the word Ephod/ אֵפוֹדis spelled later in the portion with a vav (ו) which brings the numerical value of the apron that supports the breastplate to 91, the same as amen and the unification of the Tetragrammaton with Adonai (יאהדונהי), the kabbalistic fusion of the upper and lower worlds that are made when we answer amen to a blessing. These powerful connections makes perfect sense for the High Priest, as representative of the entire Israelite people before G-d, but what does it mean for us today? The gematria of ”Choshen and Ephod” ו’אֵפד חֹשֶׁן = 449, which is the same as tallit / טלית, the prayer shawl many of us don everyday for prayers. It is no wonder then that the Torah goes into such detail in the making of the Choshen and Ephod; it is obviously something very powerful, and one to which we can connect everyday. Whoever wears a tallit is most probably wearing it for all the right reasons; nonetheless, there is so much more we can get out of the experience. For several years I was blessed to be able to stand beside Rav Berg of blessed memory and to say “amen” for him every morning when he donned his tallit; because there I learned close up what a wonderous moment it was for him and could be likewise for us. Those first moments with the tallit wrapped across your face and over your shoulder should not be rushed through; besides the Ohr Makief (surrounding light) we receive they can be moments of clear and divinely-sent visions, and of receiving messages and images of the tzaddikim. As with the breastplate of the high priest, the shining light is available to us as well. We only need to know that we can connect to it. Please pass this on to anyone who puts on a tallit; knowledge is power and armed with the knowledge of what their tallit connects to their prayers will be so much more powerful. Let us pray for the prompt arrival of Moshiach and for the final redemption at the appointed time. 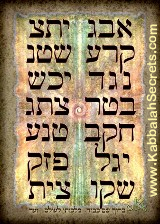 There is much work and preparation to be done; we can start by aligning our thoughts with Moshiach consciousness. Previous Post Can there be Compassion without Justice?